First edition. Signed on the title page. What was it like growing up white in Mississippi as the civil rights movement exploded in the 1950s and ‘60s? How did some white children reconcile the decency and fairness taught by their parents with the indecency and unfairness of the Mississippi “Way of Life,” the euphemism applied to Jim Crow segregation? 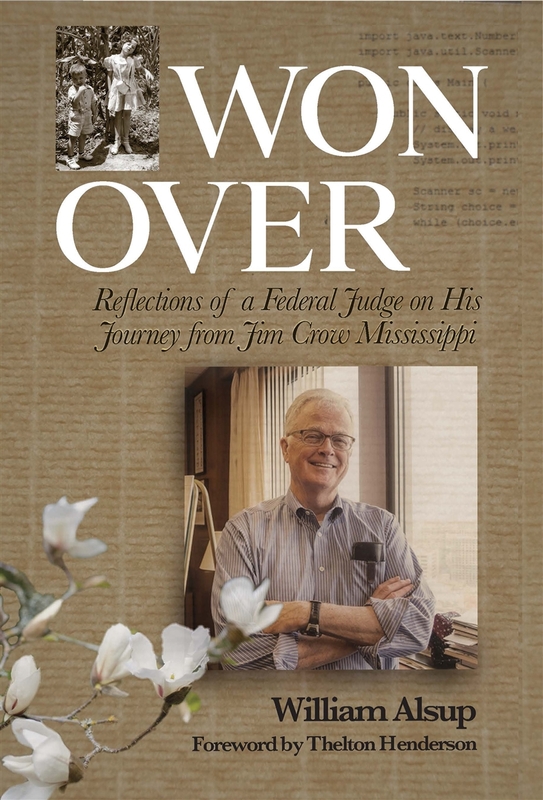 Won Over: Reflections of a Federal Judge on His Journey from Jim Crow Mississippi by William Alsup traces the influences that drew the author from accepted Southern attitudes toward a color-blind ideal. These influences included his older sister, Willana, his closest circle of friends, a charismatic mentor in college, and the moral force of the civil rights movement. 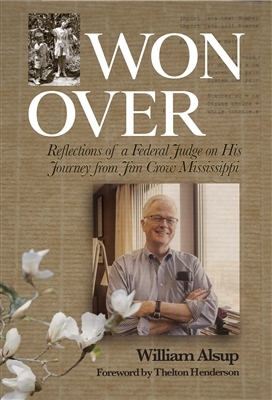 The book recalls some of his steps along that journey—a counter protest to a John Birch Society billboard calling for the impeachment of Chief Justice Earl Warren; a personal meeting with the brother of slain leader Medgar Evers to convey condolence; a letter to the editor of the statewide paper on behalf of his circle of friends declaring “We are for civil rights for Negroes”; a successful 1966 challenge to a ban on “controversial” speakers on college campuses, used to prevent blacks from being invited to speak; and a visit to Chicago to hear Dr. Martin Luther King Jr. speak against housing and employment discrimination. WILLIAM ALSUP earned a law degree from Harvard and a master’s in public policy from the Kennedy School of Government. In 1999 he was nominated by President Bill Clinton and confirmed by the Senate as a United States District Judge in San Francisco. He is the author of Such a Landscape! and Missing in the Minarets.